You’ve probably read more than you want about Rush Limbaugh’s comments about Sandra Fluke and his subsequent apology. I’ve steered clear of this and other right/left topics lately, but there was something in Limbaugh’s apology that caught my eye. Here’s a simple truth, and it’s right out of Scripture (Romans 3:23, if you want to look it up): All have sinned and fallen short of the glory of God. The right has no claim on righteousness, and neither does the left. The right is no more and no less moral than the left. The left is no more and no less moral than the right. 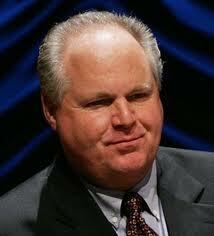 As far as I’m concerned, Limbaugh descended to no one’s level. We’re all capable of great virtue and great vice, and we all travel somewhere between those extremes most of the time. Me included; you too. And Rush Limbaugh. We do our best work, for one another and the world, when we stop this posturing, leave our encampments and try to work things out together. If this incident helps a few more of us understand that point, then maybe some good can come out of it. This entry was posted in Communications, Society and tagged Rush Limbaugh, Sandra Fluke, the left, the right. Bookmark the permalink. Lifting one another up knows no political affiliation. Whereas, today it seems, knocking one another down is purely political. Nice post, Peter.